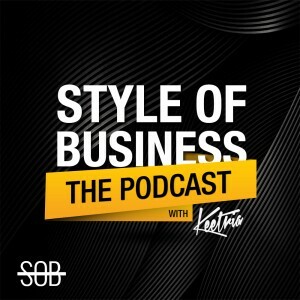 Today on SOB, Mike “Foamer” Simpson, Founder and Creator of Mr. Foamer Simpson YouTube channel, tells us how he and his brother, Bucketz, created a YouTube channel, podcast, and business with the goal of highlighting and reviewing a wide variety of popular sneakers. Foamer describes his background, the inspiration of the YouTube Channel and subsequent clothing brand, and gives some advice to listeners on purchasing. He also gives some encouragement to other aspiring entrepreneurs. Comfort versus style of sneakers: which is more important? 1. Mr. Foamer Simpson is a YouTube channel focused on sneakers. 2. Mr. Foamer Simpson channel helps shoppers make informed purchasing decisions. 3. If you have an idea or inspiration, you should just start instead of worrying about making it absolutely perfect.